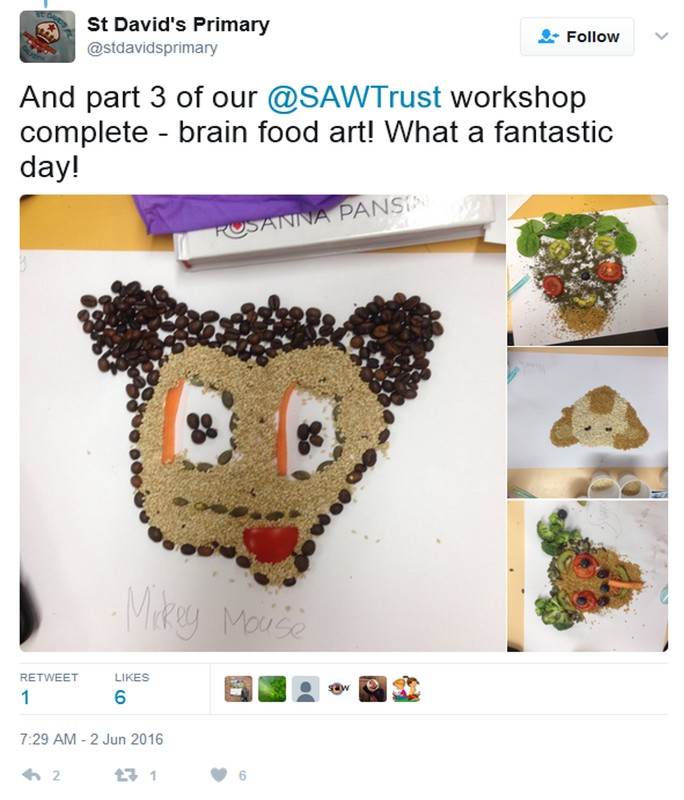 The Science Art and Writing (SAW) Trust (registered charity no. 1113386) specialises in helping researchers improve and exercise key professional development skills through participation in enriching engagement experiences with communities. Working across the disciplines with professional artists and writers, and using intriguing scientific images, our workshops invite people to explore science through practical activities, poetry and the visual arts. Our work with the OpenPlant community is enabling scientists to take a multidisciplinary approach to introducing synthetic biology to the public and is providing a platform to exchange ideas. OpenPlant and the SAW Trust exhibit and run interactive workshops at Latitude Festival, Suffolk, 2016. 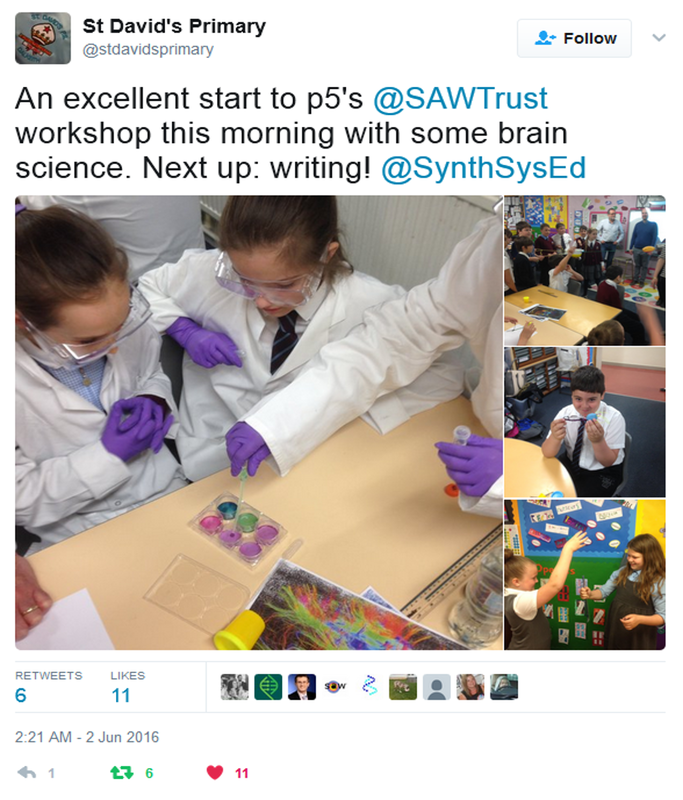 OpenPlant scientists have delivered Science Art and Writing (SAW) workshops in schools (Ludham Primary and Stapleford Primary), created interactive stands for public events (Latitude Festival, Cambridge Science Festival 2016/2017, Festival of plants, Norwich Science Festival), been awarded extension funding to develop resources (Biochemical Society Grant , Synbio for schools project) and also experienced their own research through a responsible innovation-themed SAW session as part of an OpenPlant workshop entitled Ethics, Openness, Outreach and the Media. The flexibility of the SAW approach, along with the value to participants and the impact created make it an excellent tool for the synthetic biology community more widely. To share best practise we developed a SAW workshop to enable dissemination of the initiative to other research centres and in April 2016, the University of Edinburgh hosted a SAW workshop for a group of scientists from SynthSys and the UK Centre for Mammalian Synthetic Biology. Participants worked together on practical science, poetry and art activities that have been tried and tested in school SAW projects to see how their research themes can work in this format. Teams of scientists, artists and writers were then formed to develop new SAW projects that have since been delivered in Edinburgh schools. The projects were excellent and were captured through an array of twitter posts and articles on the web. The scientists gained valuable experience, both by building confidence to widen their own approach to public engagement and through establishing a broader network of professionals from multiple disciplines, with which they can continue to deliver innovative outreach projects. These were the first SAW projects to take place in Scotland and we have been invited back in April 2017 to deliver another workshop in Edinburgh.